All accidents are covered by your Apple iPad Lease. An Apple iPad lease from HardSoft includes a three years inclusive ‘collect & return’ warranty on all iPads and includes insurance cover against theft and accidental damage. Discounts of up to 5% are available for larger quantity orders. The Apple iPad features a 9.7-inch Retina display with a fast A10 chip plus there’s ten hours battery life. Security is boosted with Apple’s Touch ID Technology in the new iPad. There’s an 8-megapixel camera and twin speakers. 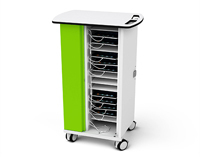 The range splits into the size of the storage you need (32GB or 128GB Flash) and whether you just want a Wi-Fi connection or need Cellular mobile data connectivity. Cellular service sold separately. The Apple iPad 9.7-inch is available in three colours. Apple iPad hires and leasing is available for all Apple iPad models to business customers in an array of colours from Space Grey, Silver, Gold and now also Rose Gold with the new Apple iPad Pro. The iPad Pro range is faster and lighter with higher quality sound and display. Which is lucky, because now it’s compatible with the Apple Pencil! Now you can enjoy the iPad the same way you would a graphic tablet. For the larger business customer, HardSoft offers a Mobile Device Management solution (MDM) which is VMWare Airwatch. HardSoft can enrol devices into an Apple DEP. Choose from one of the following packages or for a tailor-made quote speak to one of our specialist sales team on 0207 111 1643. HardSoft has been trading for over 30 years and hold Apple approved. The unique Apple leases we offer have been packaged to include everything your business could ever need. As opposed to a bank loan, leasing offers much lower rates and is 100% tax deductible. There are multiple payment schedule options, so save your cash and take out a HardSoft Apple lease. It makes great business sense! The Apple iPad flexible lease package comes with so many great extras. 3 years FREE warranty and telephone technical support means that you never have to worry about a faulty device or IT support. This includes unlimited remote assistance for the duration of your lease from our highly trained technical team. With offices all over the UK and technicians on the road, we are available across the whole of the UK. 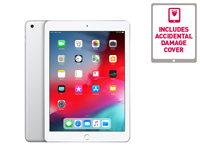 Cases are supplied with all Apple iPad leases to keep your device protected, if you so have any breakages these will also be covered by your inclusive accidental damage cover. There is no need to worry about any other spending outside of your lease payments as we have you covered.